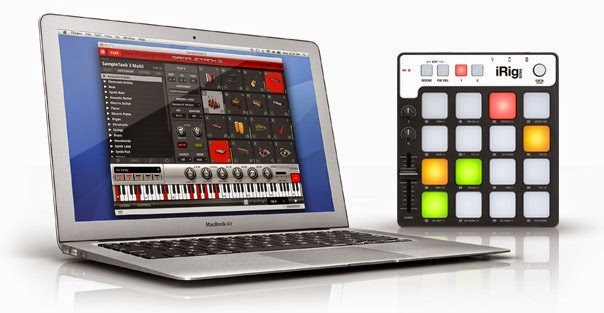 With new interface, full iRig Pads integration, The Grid and more! Introducing the latest update to SampleTank 3 for Mac and PC. Now the ultimate sound and groove workstation is also a great tool for groove and beat makers thanks to its new plug-and-play compatibility with iRig Pads, IK's ultra-portable MIDI groove controller. Its new Pad interface lets musicians quickly and efficiently organize SampleTank 3's 16 parts with a new matrix view that can be used with iRig Pads or any other 4x4 pad controller. In addition, users will now be able to enjoy broader MIDI support, streamlined loop management and more. The latest version also comes with The Grid, the first add-on sound collection for SampleTank. Download the new version today! The full version of SampleTank 3 is available now. Upgrade today for only $199.99/€159.99* if you own SampleTank 2 XL or Miroslav Philharmonik full or Crossgrade for just $249.99/€199.99* if you own any other paid IK software, hardware or app.